Deep Value – What Is It? Deep Value is a quantitative investing strategy which selects for investment the cheapest stocks in a universe of stocks, based on their valuation multiple. Investing in Deep Value is simple. Just find the securities with the lowest valuation multiples in the market, and build a well-diversified portfolio. You can choose any valuation multiple of your likings, may it be Price/Book, Price/Earning, EV/Sales, EV/EBITDA or Price/Cashflow. The chances are that over time, the portfolio will do well, very well. 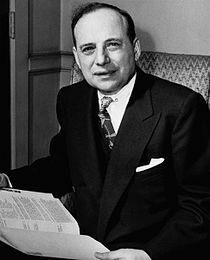 Deep Value investing originated with Benjamin Graham, known as the father of Value Investing. In its core, Value Investing is the practice of investing in stocks which price is significantly lower than their economic value (which Graham named intrinsic value). Value stocks need not be cheap stocks on an absolute basis. For example, investing in Coca-Cola with a Price-to-Earning ratio of 25 (which is considered high) may still be considered a value investment if you believe its intrinsic value is 35 times earnings. Price is objective; Intrinsic value is subjective. If you buy a stock at a price lower than its worth, and you hold it long enough – it has good chances to rise in price. If you buy a bucket of such stocks, your portfolio is well-likely to beat the market over time. Valuation multiples (e.g., Price/Book, Price/Earnings, EV/EBIT) are typically considered as relative valuation metrics, allowing the comparison of two companies with similar characteristics. However, Graham discovered that stocks with low valuation multiples on an absolute basis, such as P/B below 1 or P/E below 10, are likely to outperform the market. A well-diversified portfolio constructed from such absolutely cheap stocks tends to beat the market over time. Graham took his research and his teaching to practice and formed the Graham-Newman partnership, which operated from the 1930’s through the 1950’s. Graham-Newman bought stocks trading below book value of equity, sometimes even below cash. And they made a killing doing so. Graham-Newman employed two of Graham’s students who later become two of the greatest investors in history. The first is the well known Warren Buffett. The second one is known only in investor millieu, Walter Schloss. Over the years, Warren Buffett has evolved from buying cheap stocks to buying “wonderful companies at a fair price,” while Schloss kept purchasing cheap companies regardless of their quality. Graham-Newman generated 17% annual returns over more than 20 years. Walter Schloss earned 15.3% annual returns over four and a half decades. Contrary to Warren Buffet, neither Graham nor Schloss used leverage (Buffett famously uses insurance float to lever his portfolio). With Deep Value, we are buying cheap stocks, disregarding the quality aspects of the underlying companies. Deep Value investors refuse to pay up for quality. The rationale for disregarding it is that quality is easy to detect and typically already priced in. OID: I hate to beg in public, but could you give us an example or two to help us understand your thinking process? Walter Schloss: Cleveland Cliffs may give you a good example of our thinking process. Their primary business was selling iron ore to steel mills. We bought their stock not because we were looking for a cheap investment in the steel industry. We looked at the stock because we thought it was a good value. Cleveland Cliffs was the best company in its field. As I recall, Warren bought a lot of it at around $18 a share and later sold it around his cost. But then, when the steel industry was in decline and so many of these companies defaulted on their debt, and the biggest shareholder sold his share because he no longer liked the industry, the stock went down to $6 a share. We bought a lot of it. OID: Going where others feared to tread. Walter Schloss: That’s right. We bought it although there was talk of bankruptcy. If we’d lived in Cleveland, we probably wouldn’t have bought it because we would have been too close to all the bad things. Anyway, after we bought it, the company started to do better. They’ve sold off some assets and bought back some stock. We didn’t buy it knowing what would happen. But we did like the idea that it was the low-cost iron ore producer and they have 50% of the reserves in America. OID: Why don’t you look at business quality more closely? Walter Schloss: I don’t think I’m capable of it. OID: I find that hard to believe. Walter Schloss: Warren understands businesses – I don’t. Warren understands insurance businesses – I don’t. And he understands banking and publishing companies. We’re buying in a way that we don’t have to be too smart about the business…. OID: Because of the asset protection? Walter Schloss: That’s right. If you buy a great business, how much do you pay for it? Cheap stocks earn outsized returns BECAUSE they are such awful companies. Investors over-react to bad news. Like all humans, investors are prone to well-known cognitive biases which are driving the prices of under-performing stocks below their intrinsic values. The Gambler’s fallacy describes how most people would extrapolate a trend into the future. A lucky winning streak is wrongly expected to continue well into the future, as will a negative streak. Many investors falsely believe that an underperforming company will continue to underperform into the distant future, while statistics show that underperforming companies tend to improve their results and thus revert to the mean. This fallacy causes the market to undervalue losing companies. The Loss Aversion fallacy, discovered by Daniel Kahneman and Amos Tversky, explains how humans strongly prefer to avoid losses than to acquire gains. Investors give too much weight to bad news, reducing the prices of distressed stocks below their intrinsic values. When a company hits rock bottom, trading miserably cheap, massive forces come into play to turn it around. The first of such forces is the reversion to the mean phenomenon. Businesses that have performed below their industry’s averages tend to improve their performance over time, thus reverting to the industry mean. Over time and a given a large enough sample base of stocks, losers and winners will return to mediocrity, i.e., to the average performance of the group as a whole. Buy a large group of underperforming companies, and as a group, they are statistically likely to perform better as time passes. The second force is management and the board of directors efforts to right the ship. Often, the board fires incompetent management and hires a better team. Sometimes, management and the board acknowledge the errors and fix it themselves. The third force is activism. Activist investors may discover the company and buy enough shares to either influence its strategic direction or even gain outright control. Research shows that in most cases activist campaigns are successful in creating alpha and drive performance above market levels. 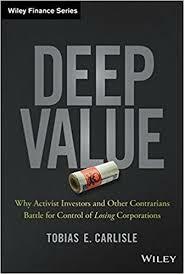 Several of such campaigns are featured in Tobias Carlisle’s book, Deep Value: Why Activist Investors and Other Contrarians Battle for Control of Losing Corporations (Wiley Finance). The book and the website which complements it, promote a quantitative strategy of investing in low TEV/EBIT stocks, which Carlisle names The Acquirer’s multiple (a term protected by a registered trademark). Earning Before Interest & Taxes (EBIT) = Operating Earnings. In their book, Quantitative Value, + Web Site: A Practitioner’s Guide to Automating Intelligent Investment and Eliminating Behavioral Errors, researchers and fund managers Tobias Carlisle and Wesley Grey show that investing in stocks based on their cheapness alone beats Joel Greenblatt’s Magic Formula (a strategy which buys stocks which are both cheap and of high quality). They have found that the best-performing cheapness metrics are valuation multiples based on Enterprise Value (the market value of all stocks and debt, excluding excess cash). There’s an important distinction between Deep Value quantitative strategy and the Quantitative Value strategy. The former ranks stocks solely on valuation and selects for investment the absolute cheapest stocks in the universe. The latter filters the universe to result in an interim bucket of cheap stocks, typically the cheapest decile or several deciles of the universe. Then, stocks are ranked based on their quality metrics and the highest-quality stocks are chosen for investment. While Quantitative Value picks the highest-quality of the cheap stocks, Deep Value picks the cheapest of the universe regardless of quality. Will Deep Value continue to work or will its alpha disappear? Deep Value had outperformed the general market for over 70 years since Graham and Dodd published their seminal book Security Analysis. It’s overperformance has not waned albeit the publicity it had and the enormous amount of research in the field. We believe that as long as humans make investing decisions, they will continue over-reacting to bad news and temporarily bad financial results. We think that as long as institutions manage most of the public’s capital, they will keep preferring “fairly priced good companies” and will dump the cheapest (and ugliest) stocks, thus creating the opportunity.